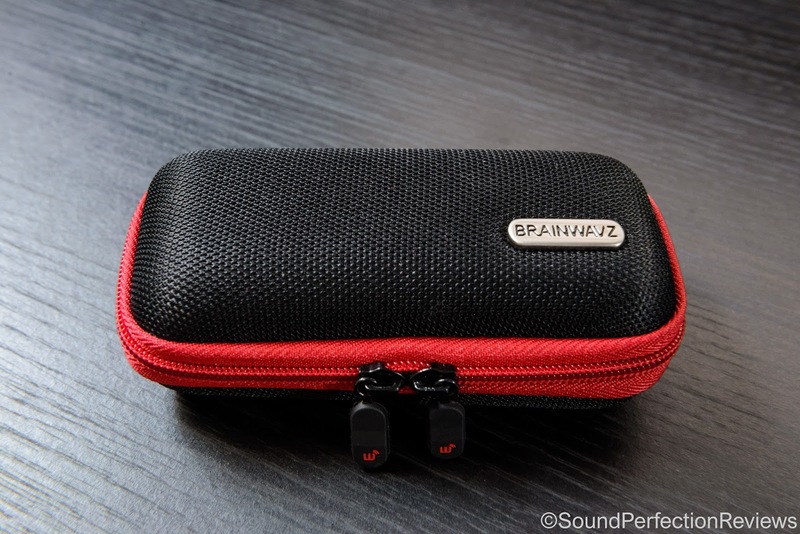 Firstly I would like to thank Brainwavz for the sample, I always try to write honest reviews. These received over 50hrs of burn-in, no differences were noted. The packaging of the B200 is very simple, a black card box with red lettering on it, the model B200 is in big red letters on the front, it doesn’t have any info or specifications on the box apart from saying they use dual balanced armature drivers. Inside the box you just get a plastic tray that holds the carry case, the IEM’s and accessories are inside. I feel that the box looks good, and is small, but I would have like to see the specifications listed on the side. Build quality overall is pretty good, the housing is plastic but feels sturdy and helps keep weight down, the cable is non-detachable though which I fear will be the first part to break. For the price I would have liked to see detachable cables, but the cable has good strain relief on the jack and the bottom half of the y-split, on the top half of the y-split there is a lack of strain relief. Where the cable goes into the housing you have a short section of moulded rubber that acts as memory wire without the discomfort that comes with normal memory wire, and again good strain relief. 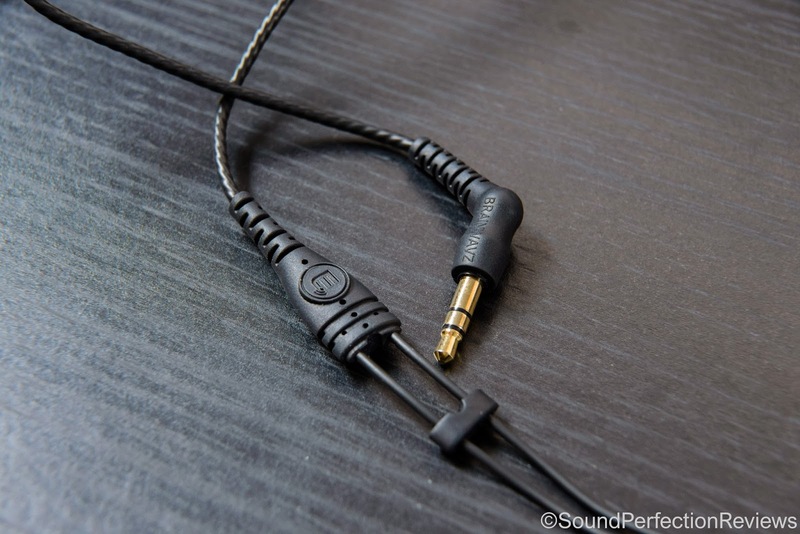 If you are careful with these I don’t see there being any problems with the build quality, it is just a shame the cable is fixed. 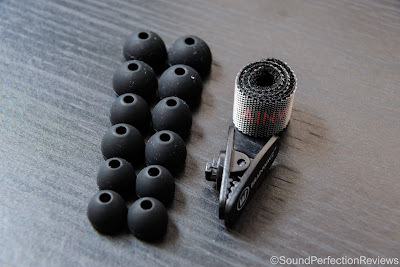 Accessories included are good, you get 2 pairs of each size of silicone tip (S, M and L), a pair of medium T100 Comply tips, a cable clip, hardshell case and a velcro cable wrap. Nothing missing in the accessory department and with the tips included most people will be able to get a good fit. These are some of the most comfortable IEM’s I have had the pleasure of using, the housing is plastic and very light, once in your ears you do not feel them. The cable is flexible and very comfortable; I am not a fan of conventional memory wire so it’s great to see these use a small moulded bit of flexible rubber instead. I find Comply tips to offer the most secure and comfortable fit with these, although have some slight impact on the sound. Isolation is fairly good with silicone tips, blocking out a good amount of outside noise and offers more than enough for most purposes. If you are using the underground to commute, or fly a lot, the Comply tips offer increased isolation, with them you really do block out most of the world around you. Cable noise is slightly present, but the chin slider really helps reduce this so I do not find it to be an issue. 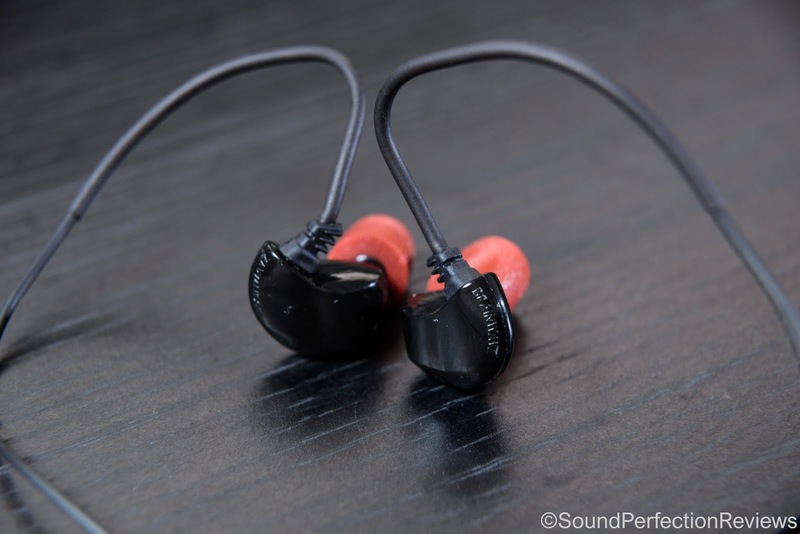 Lows: The lows hit hard and fast, especially for a balanced armature IEM, I have not found the lows to ever be lacking in presence or body and the speed is incredible. With the Comply tips the lows are slightly warmer and fuller than with the silicone tips, but the silicone tips offer a more balanced sound. They won’t be the best for EDM music, but the lows extend extremely well being audible to around 30hz. 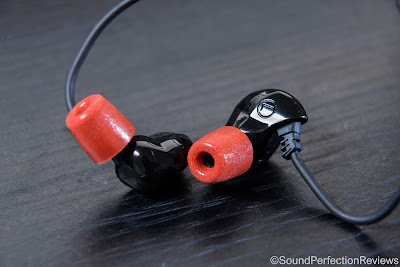 These excel if you don’t need pounding bass, but they can offer a more fun sound with the Comply tips. The silicone tips have a slightly drier kick down low, whereas the Comply tips offer more body. Mids: The mids are slightly forward in presentation and offer exceptional tonality and detail, the mids are not warmed from the lows yet they are not thin sounding either. There is a slight dip in the upper mids to avoid sibilance, but the detail retrieval, separation and layering are all excellent. If you like a well balanced and detailed midrange these are great. Highs: The highs are good but not great, they lack presence and extension unfortunately. I prefer the highs when using the silicone tips, as they do not attenuate them like the Comply tips do. Now the highs have good instrument placement, and they are fairly track dependent. Where they are present, they are actually excellent, with taps on cymbals offering great detail and insight, whilst being well separated too. So the highs sound excellent when present, but do lack a little presence, this does mean that these are not fatiguing to listen to. 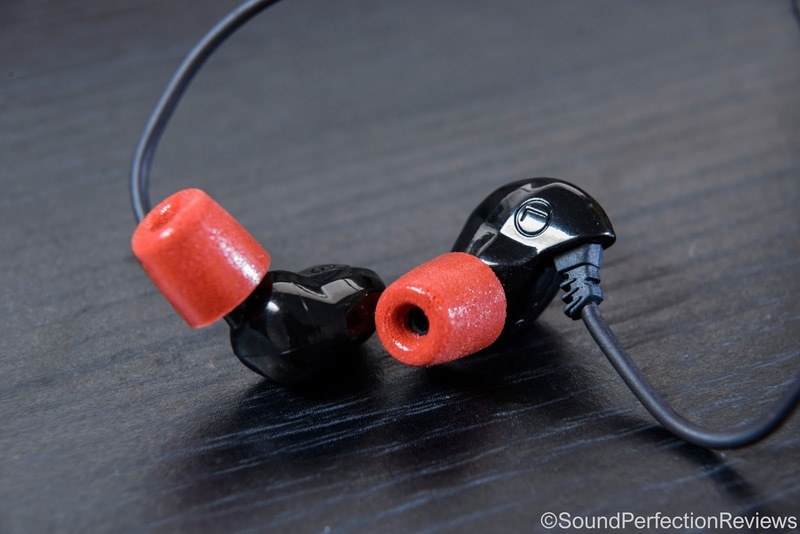 So tip wise: Silicone offers a more balanced sound, tighter bass and slightly more treble presence. 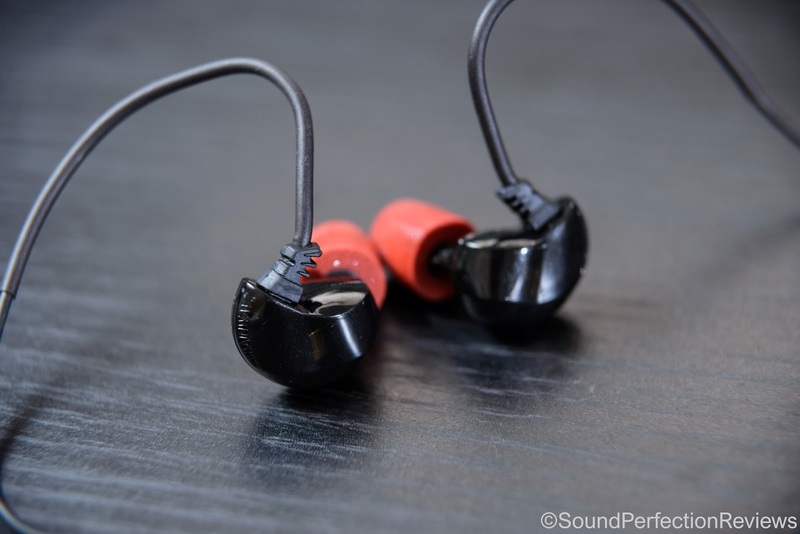 Comply tips offer a warmer, fuller sound that has a slight trade off in the treble, but the bass sounds more realistic with Comply. Instrument separation is excellent, the soundstage is not overly wide but there is plenty of air between the instruments, and the stereo imaging is very good. Now I did not hear the original Brainwavz B2, but did have the Fischer Audio DBA02 MKII, and they were more analytical with better highs but not as good tonality, offering a more airy but slightly thin presentation. Also the Shure SE425 is one of my all time favourite IEM’s and I would say these are slightly darker sounding, but do extend better down low. The Shure have an excellently textured midrange, and overall balanced sound, but the lows do not extend as well, nor have as much body. The highs on both are slightly lacking in presence however. And for the price the B200 is much better value. Conclusion: For the price, I would have liked to see detachable cables, as it stands they are not the best in their price range. But saying that, I can still recommend these, their mid range is full of detail, the lows never lacking and highs that are non-fatiguing. The two different tips offer slightly different sound signatures but overall for I think I prefer the Comply tips. I think the strengths of these are the detail retrieval, instrument separation and especially the coherency of the overall sound. They are great all round performers with only a slight lack of presence up top, and their comfort and isolation means I could wear these for hours on end, also the size of the housing means you could likely sleep in these. Kings Of Leon – Day Old Blues is one track that stood out and highlighted the strengths of these whilst I was writing this review.